Ryan Blasko has become the first Virtues Campus student to earn an Associate of Arts degree! 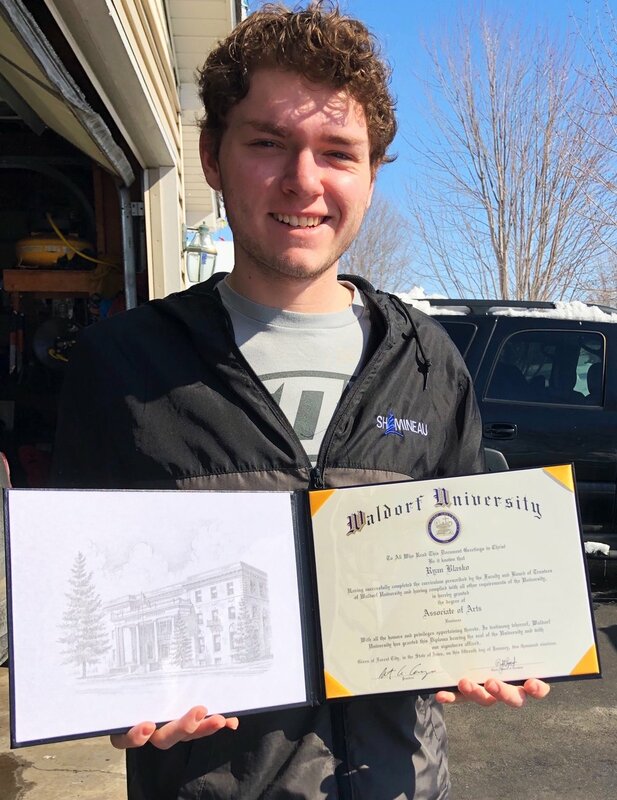 He recently completed his AA degree in Business at Virtues’ partner, Waldorf University, and was awarded his diploma on January 15. Ryan graduated from The Virtues Campus last year and credited the program for helping him on his journey. “The Virtues Campus has helped me deepen my faith and my relationship with God, as well as understand who I was created to be,” he said.